Would it be useful to you if you knew the identity of the top card of a shuffled deck? What if you knew both the identity of the top and bottom cards of a shuffled deck in use? If you know the identity of four cards on the top of a shuffled deck, how would you apply this knowledge? Would you desire to demonstrate that you can speed memorise a packet of cards within seconds? Now, imagine this: You know the identity of every card in an entire deck. What would be the performing possibilities for you? 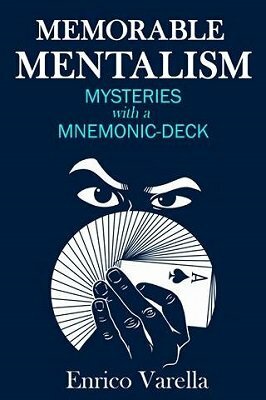 If you are new to the memorized deck (or mnemonic deck or 'MemDeck'), you can expect a lot of powerful magic ahead of you. You will be able to astonish both laymen and magicians. You can also enhance your card magic and mentalism with this 'secret assistant' (concept).